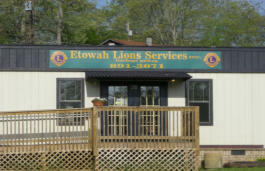 Established in the mid 1960’s by the men of the Etowah Lions Club as a way to offer a service in a very rural area. In 1974 the company was incorporated. In 2000 it came under structured management and automated. In 2006 the organization was able to purchase property and build a proper garage and office for the business. 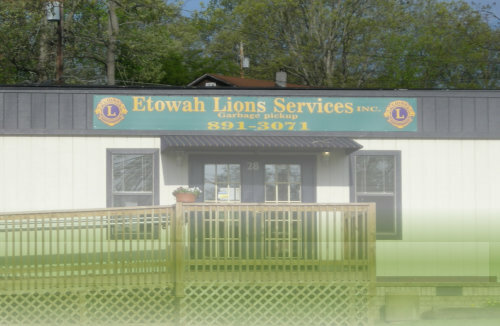 It is located at 28 Ridgeway Ave, Etowah, NC off of old Highway 64. Pickup of your household (Kitchen and Bathroom trash) all other trash is a special pick up. Curbside- means at the end of your drive. Like the mailbox. Make it easy for the guys and gals to get your trash. Driveway service is available with approval of the manager/supervising driver. There is an extra fee for this service. Trash - 99 gallons of trash weekly Recycling - pick up every other week - unlimited quantity. We also have drop off (for clients only) 5 days a week if there is no holiday. Please don’t bring trash to the office. We do not accept trash at our facility only recycling. Below is from the Henderson County Website. They do not comingle glass but we still do. As with all programs it may change in the future. We are not in control of that. Please use this as a guide but check the Henderson County website for the most current information. Special pick up services. This is fee based so call the office and inquire. Furniture, construction, remodeling, garage, appliances, etc. 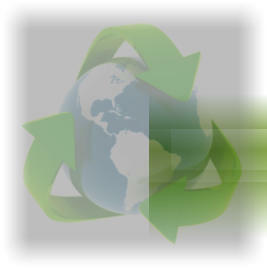 We will also suggest other options with you for disposal of your items to save you as much money as we can. Please note there are things that cannot be thrown away into the waste stream. Please refer to the HCSW website for all the details. We have a trailer we can set for big clean outs. Trailers once loaded must be able to have the tarp pulled and secured. They are looked at prior to taking to the landfill to see if we can get any recycle material out prior to hauling it to the landfill. The trailer is a set fee for placing and removing one time plus the fee charged from the landfill to dump your trash. Example $100 for the trailer and you put 1000 pounds of trash on it that would be $30. $130 dollars would be the total. The dump fee is directly in relation to the weight you put on the trailer and you are charged the exact amount. We have dumpsters 2 and 4 yard for commercial use. If you have a business and want to use one of our dumpsters let us know. There is no long term contract or automatic renewal clauses hidden in the fine print. We don’t have fine print. Please call for pricing. Due to competition and initial cut rates by others we do not post our fees. We don’t shoot you a low ball offer then creep your prices up in other charges. We bill monthly, quarterly, semi-annual or annually. Whatever fits your budget. We mail and email bills your preference. If you would like to go paperless with your billing let us know when you sign up. Payment is cash, check, money order or autodraft from your checking account. Due to fee’s charged to us by credit card and debit card processing companies we choose not to take this kind of payment. The amount would add up to a scholarship offered annually to a West Henderson High graduate. (one of the real reasons this Lions Club is in the trash business) Payments are due the 1st of your billing cycle and late after the 10th. There is a late fee. NSF Fee’s will not be waived if this should happen. Please don’t ask and expect it if there is a problem with your payment. We are charged so we must charge you. If the 10th falls on a holiday or weekend the payment will post on time the next business day. This is the only exception and the cutoff is 10:00 am as a courtesy. Then it is closed for that billing cycle and I go to the post office and get what has come in. Don’t mail your payment on the 10th and expect it to not be late. It take a minimum of 3 days for mail to reach us no matter where you mail it from. If you are using on line bill pay please schedule it to pay on the 5th to ensure we get the check in a timely manner. Your bank mails us a check through their service it is not electronic. We are territorial. Servicing in approximately an 8 mile range from our office. We are permitted in Henderson County only however we do not service the entire county. This allows us to offer the best service possible to the clients we have. Holidays are handled in the week they fall. If Monday is a holiday, and the county closes the transfer station, we will pick up everyone one day late. Example: Monday clients will pick up on Tuesday, Tuesday on Wed, Wednesday on Thursday and Thursday on Friday. This is because we cannot empty the trucks and will not be able to service every client on their day. If the holiday falls on any other day only those after the holiday are affected. So Tuesday holidays Monday clients will be picked up on Monday. Everyone else will be picked up on day late. If a holiday falls on Friday no one will be affected. Days we pick up. Normal workweeks are Monday - Thursday on the trash pick up. We start at 7:00 AM so you need to have your trash out at that time. Does the truck get to you at 7:00 am. Some yes others no. But the day they have to reverse the route or many in front of you are out of town and the route speeds up and you are missed you won’t get picked up until the next week. The drivers make note of those not out. We do not accept trash at the office. Please don’t ask. The cats that roam around the neighborhood have become a problem digging through your trash once it is left somewhere in the building then I have to clean it up. There is no one to come out on Fridays to pick up trash normally. Call if there is a special circumstance and if we can accomodate you we will. Out of Route services (days other than your normal pick up day) will be assessed a minimum fee. We update the website off site. If something happens during the day, updating the website with a maintenance issue may not be an option right away. Maintenance is performed typically on a Friday when we are down from the routes. Times we pick up - Our policy for all of our clients to have their trash out by seven in the morning (7 am). Why so early? Our routes are fairly regular until they aren’t. When they aren’t is dependent on weather, who is and isn’t in town, road work, trees down, power lines down, flooding .... well you get the idea. It doesn’t happen often but it can and on recycling weeks the route is a little faster due to the way they share the responsibilities in picking up which is a time and fuel saving function. Time and fuel equals money. Money saved anywhere helps to keep our rates steady. If your trash is out by 7am you will not be missed. For those that have bird issues cover your trash with a blanket. Keeps the birds from picking your bags apart. It can happen from the time you set it out and the time it takes to walk back in the house. For bears get the best can you can get with a locking lid and that will be your best bet (but no guarentee). The best way to keep critters out of your trash is to compost your food product instead of throwing it away. Pour your liquids out before you throw away the container. Most containers can be recycled and needs to be clean and dry anyway. Office Hours are Monday - Friday from 8:00 AM - 5:00 PM. There is usually only one person in the office. When a client has an issue or errands have to be run the office will be locked but the phone is always carried and usually we are not too far away. Yes there are some days the office will be closed all day due to meetings that we must attend. We are sorry for that and will do our best to address your problem. If you e-mail us when we are out at any of these meetings we can usually take care of your issue or question right away. Customer service is our priority. We pride ourselves with the knowledge that 95% of our clients are very satisfied with the service they receive. We appreciate our community and work hard to ensure we are following all the rules impossed on us by the County to ensure our permit remains in intact. If something is left there is probably a good reason. Please don’t hide wet paint and motor oil in your trash bags. Don’t hide yard waste in your rubbish. Hiding or throwing away harmful chemicals and flammable material may cost us a truck, facility or more. If you have questions as to what we do and don’t take please refer to the Henderson County Solid Waste do’s and don’t for both trash and recycling. When doing your research please understand each hauler has their own rules and procedures. So as not to confuse anyone we have chose to go by Henderson County Solid Waste recycling procedures. It changes and we do too. Yes there are things we cannot take that is considered recycling. 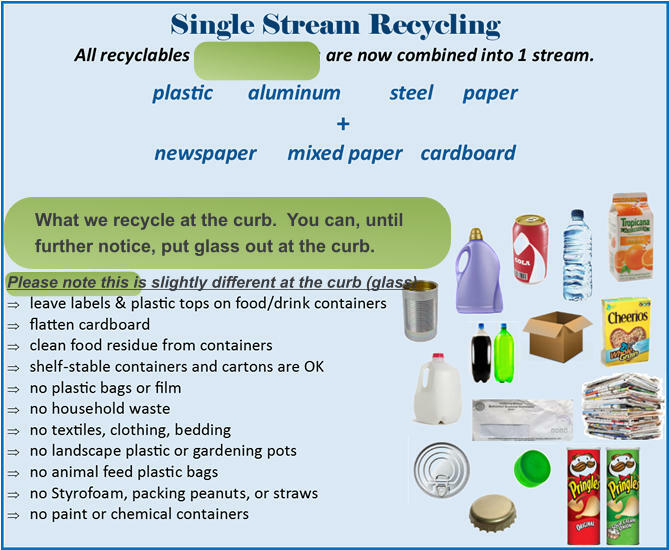 A rule of thumb is the clean and dry cardboard, mixed paper, plastics (approved by transfer station, some plastics are not accepted), glass (we collect it with the recycling and it does not have to be separated out at this time), tin and steel food cans, and aluminum cans. Food metals and plastics only for recycling. Aluminum cans is the only commodity that the Lions take to market. So if the client wishes to separate the drink cans we will bring that money back to the community for programs and services. The rest of the recycling goes to the Henderson County Solid Waste Transfer Station where it is shipped out to Buncombe County (currently) for sorting. American Recycling is the current MERF that is used by the county. We tried to hit all your questions here. If you have any questions about us please call. We will be happy to chat with you. If you have to leave a message do so and we will call you back as quickly as we can. Our goal is to ensure that the programs the county has implemented are passed down to our clients to help educate about the solid waste policies and procedures. 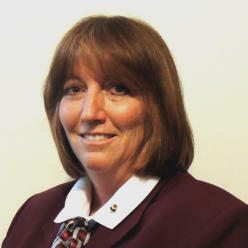 We pride ourselves with a healthy relationship between the county and our company. Everything is public knowledge and with a little time and effort on your part you can read all about it at the Henderson County Solid Waste Department website. Truck 2-50 (Trash) Purple weeks (recycling) Roy Gass Richard Gardner Truck 2-20(Trash) Tan weeks (recycling) Robert Crook Trey Ramarez Truck 2-40 Recycling truck Gary Barnwell All positions are filled at this time. This is actually the back door. Please use the door in the parking lot to enter.